WHY DO CHILDREN GROW FASTER THESE DAYS? Aren't you surprised the way children grow these days? Babies learn to open their eyes as soon as they come down from the womb and it doesn't give you a wink? In our time say in 80's,it takes a child about one or two days after his birth to open his eyes but today,a quick action is the case. If you can remember too,in our time children where not quick admitted in any level of formal education be it nursery,primary,or secondary school. But today,before a child even learns to talk and know his environment, he has already been admitted in a formal system of education. Yes the question still remain: Why do children grow faster these days? In the time past,girls grow in stages. 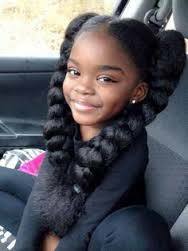 When she is a girl,you will know that she is and when she grows up to being a woman,every man can see that she truly is. But this day you can not differentiate between a girl and a lady. Everyone is grown,all like age mate. Again I ask: Why do children grow faster these days? I like to borrow a few words of mother and she says when she saw the young girl with her sugar daddy: "Look at her,fresh blood mixing with expired blood." Then I asked,which one is an expired blood because I know that the girl is a fresh blood being very young. The old man's blood! When girls begin to to do the work of a woman,she becomes a woman1! And when a single person engages herself in a marital duty,dues to a married woman,then she begins to look like one. What are we saying? Can we say that forcing hormones to mature is the reason why children grow faster these days?